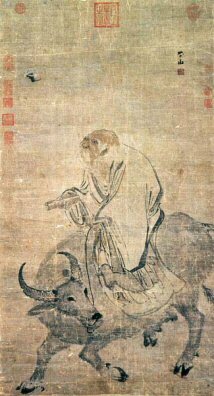 Lao Tzu was the person who wrote the Tao Te Ching. He was supposedly from Hunan Province of China, and was a court librarian. 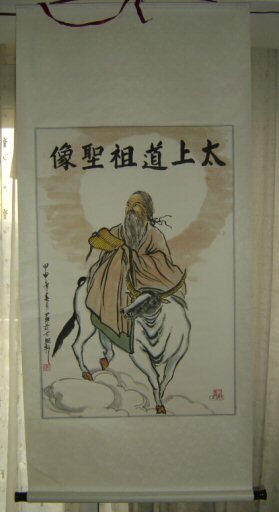 In the paintings depicted below, he is riding his ox (or yak) before crossing a bridge and into the mountains. 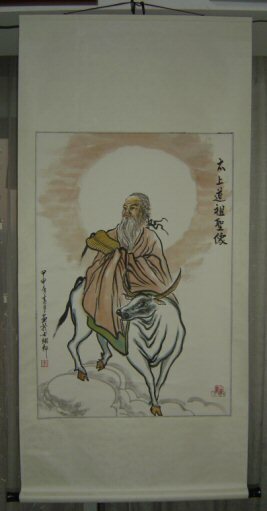 Here are the immortal people who have limited serialized painting of Lao Tzu riding an ox, by a master painter in China. 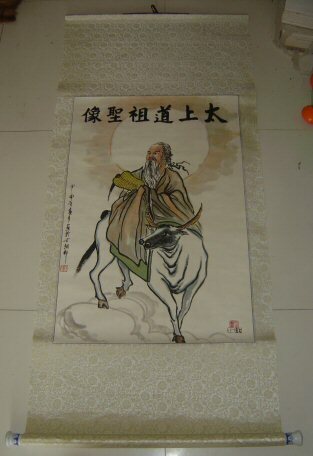 It is similar in dimension to the above paintings, and shipped via the same method.